After 10 years of planning, building and testing, the Dark Energy Survey (DES) has officially begun. Tonight, as the sun sinks below the horizon, the world’s most powerful digital camera will once again turn its gleaming eye skyward. Tonight, and for hundreds of nights over the next five years, a team of physicists and astronomers from around the globe will use this remarkable machine to try to answer some of the most fundamental questions about our universe. On August 31, the Dark Energy Survey (DES) officially began. Scientists on the survey team will systematically map one-eighth of the sky (5000 square degrees) in unprecedented detail. The start of the survey is the culmination of 10 years of planning, building and testing by scientists from 25 institutions in six countries. The survey’s goal is to find out why the expansion of the universe is speeding up, instead of slowing down due to gravity, and to probe the mystery of dark energy, the force believed to be causing that acceleration. Members of the Dark Energy Survey collaboration explain what they hope to learn by studying the southern sky with the world’s most advanced digital camera, mounted on a telescope in Chile. The main tool of the survey is the Dark Energy Camera, a 570-megapixel digital camera built at Fermilab in Batavia, Illinois, and mounted on the 4-meter Victor M. Blanco telescope at the National Science Foundation’s Cerro Tololo Inter-American Observatory in the Andes Mountains in Chile. The camera includes five precisely shaped lenses, the largest nearly a yard across, that together provide sharp images over its entire field of view. 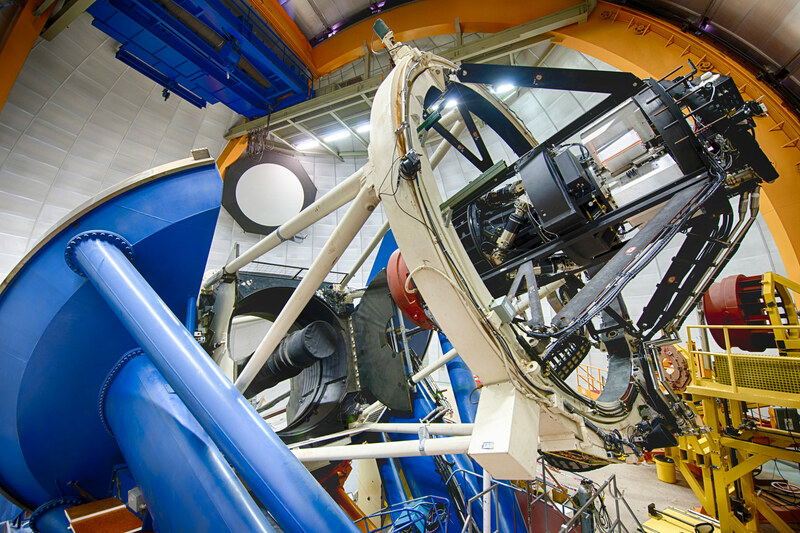 The Dark Energy Camera, mounted on the Blanco telescope at the Cerro Tololo Inter-American Observatory in Chile. Credit: Reidar Hahn/Fermilab. The Dark Energy Camera is the most powerful survey instrument of its kind, able to see light from more than 100,000 galaxies up to 8 billion light-years away in each snapshot. Over five years, the survey will obtain color images of 300 million galaxies and 100,000 galaxy clusters and will discover 4,000 new supernovae, many of which were formed when the universe was half its current size. The data collected will be processed at the National Center for Supercomputing Applications (NCSA) at the University of Illinois in Urbana and then delivered to collaboration scientists and the public. “NCSA is pleased to be producing and distributing the refined data products that will enable this science,” said Don Petravick, principal investigator of the DES Data Management Operation. The survey’s observations will not be able to see dark energy directly. However, by studying the expansion of the universe and the growth of large-scale structure over time, the survey will give scientists the most precise measurements to date of the properties of dark energy. Counting galaxy clusters. While gravity pulls mass together to form galaxies, dark energy pulls it apart. The Dark Energy Camera will see light from 100,000 galaxy clusters billions of light-years away. Counting the number of galaxy clusters at different points in time sheds light on this cosmic competition between gravity and dark energy. Measuring supernovae. A supernova is a star that explodes and becomes as bright as an entire galaxy of billions of stars. By measuring how bright they appear on Earth, we can tell how far away they are. Scientists can use this information to determine how fast the universe has been expanding since the star’s explosion. The survey will discover 4000 of these supernovae, which exploded billions of years ago in galaxies billions of light-years away. Studying the bending of light. 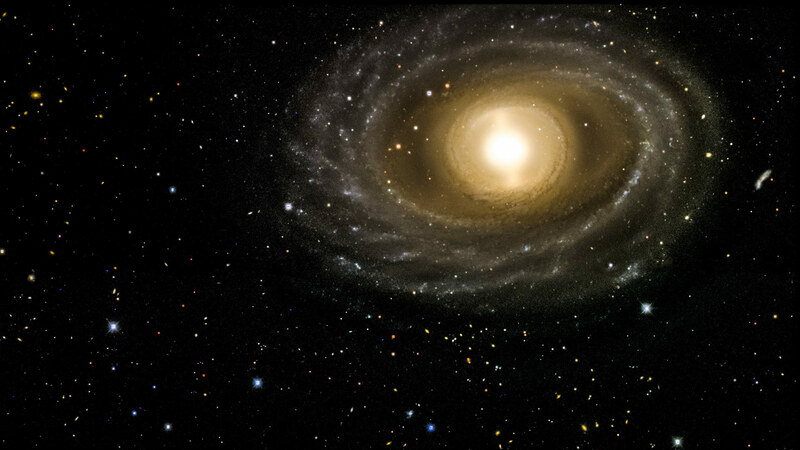 When light from distant galaxies encounters dark matter in space, it bends around the matter, causing those galaxies to appear distorted in telescope images. The survey will measure the shapes of 200 million galaxies, revealing the cosmic tug of war between gravity and dark energy in shaping the lumps of dark matter throughout space. Using sound waves to create a large-scale map of expansion over time. When the universe was less than 400,000 years old, the interplay between matter and light set off a series of sound waves traveling at nearly two-thirds the speed of light. Those waves left an imprint on how galaxies are distributed throughout the universe. The survey will measure the positions in space of 300 million galaxies to find this imprint and use it to infer the history of cosmic expansion. More information about the Dark Energy Survey, including the list of participating institutions, is available at the project website: www.darkenergysurvey.org. 3 Comments on "The Dark Energy Survey Officially Begins"
Doesn’t the European Space Agency have a 1 Gigapixel (1000-megapixel) camera on their new GAIA spacecraft. Seems a lot more powerful then a 570-megapixel camera. Like comparing a 6 megapixel to a 10 megapixel camera. And GAIA will even benefit from being in space. Since it’s still not launched it should be counted as the worlds most powerful camera. Even if it’s in space it`s the worlds most powerful. 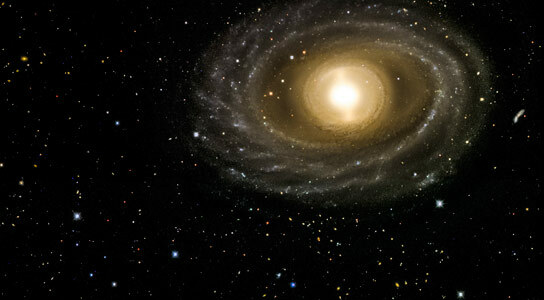 This Dark Energy Survey is an indirect method to theorize distribution of Dark Energy which is principally anti-gravitational as against attractive gravitation found in ordinary Matter.It will find the gravitational lensing effect on about 300 million galaxies as accurately as possible.Dark Matter and Dark Energy is inter spread among light matter galaxies in our universe. The mapping with powerful digital camera of the faintest light from galaxies is a refined method to indirectly know the distribution of Dark Energy and Dark Matter. Thank You. There’s more to a camera than mere pixel count, a lot more.